Food inflation soared to 17.47% in the third week of November from 15.58% a week ago, mirroring a shortage in supply that set in following the weak monsoon in the country, reports PTI. With the economy on an upswing, analysts said rising food prices should prompt the government and the Reserve Bank of India to shift their focus on controlling inflation, otherwise manufacturing inflation would also go up. The economy grew by 7.9% in the second quarter of this fiscal against 6.1% in the previous quarter, rekindling hopes of a faster and steady recovery. 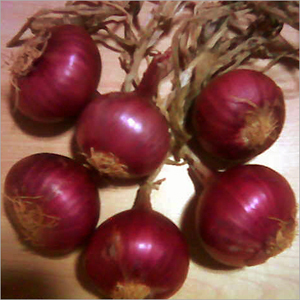 On a weekly basis, onions turned expensive by over 12%, while prices surged by 30.89% on a yearly basis. Rice and wheat prices also rose over 10% on a year-on-year basis. However, the rise in potato prices-a commodity that has been surging-declined to 94.17% on a yearly basis, against the over 100% increase a week ago. Altogether, inflation of primary articles (items found in raw form) rose to 12.53% during the week ended 21st November against 11.04% in the previous week. The prime minister's Economic Advisory Council chairman C Rangarajan, has said that food prices must be controlled, otherwise they have a tendency to lead to manufacturing inflation.